Such a cute top! You pull off hats so well, too! I just love this 70s look! 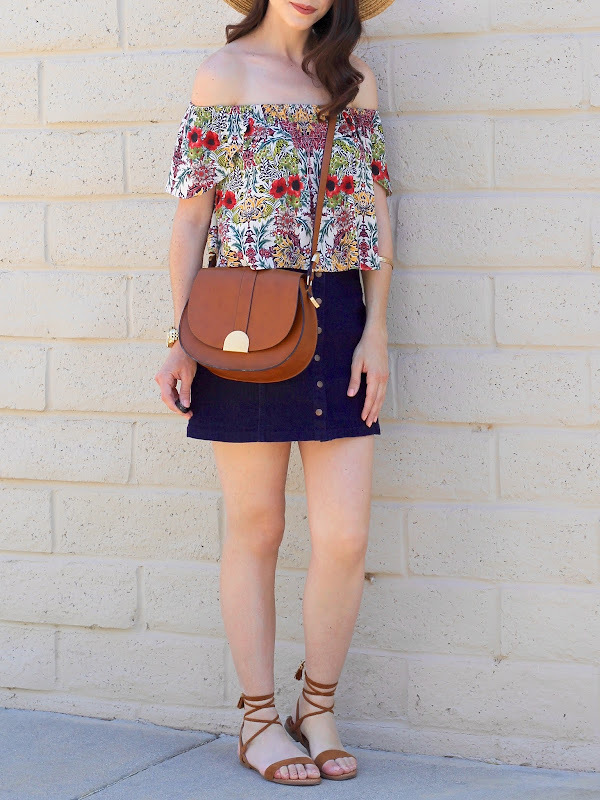 Such a gorgeous look - loving your chic floral top. You've styled it beautifully! Gorgeous look! love the off the shoulder top! You look absolutely gorgeous in this outfit from head to toe! I love that top!!!!! You look super cute!! I love the hat and the sandals. The off the shoulder top is very on trend right now. Great look!! Your top is so cute!! 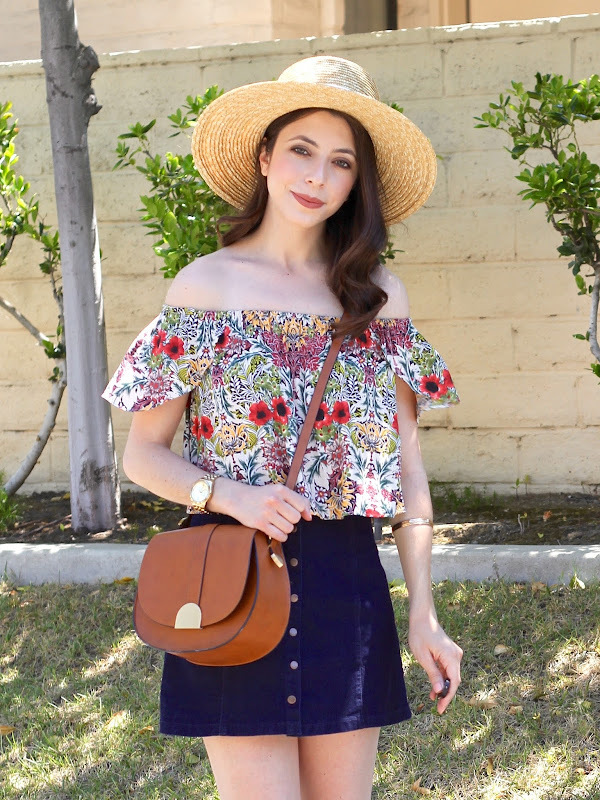 A lovely summer look. This is a great vacation outfit! Love your off the shoulder top! So pretty , that off shoulder top is super cute, nice look !